BAT is an Ethereum based token that is created for serving as a payment settlement platform. 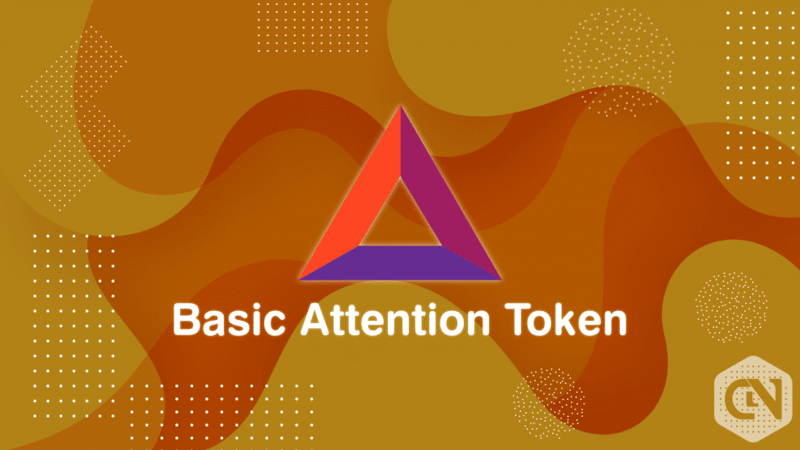 BAT is the native token of Brave Browser, which is also a decentralized browser on the Ethereum Blockchain. The reason why Brave Browser has attained such an immense reputation is that it provides 100% anonymous services to users and thus completely provides security to their privacy. BAT is currently getting traded at USD 0.292730 (UTC time 05:17). With a market cap of USD 365,742,223 and a circulating supply of 1,249,416,783 BAT, it is the 25th largest cryptocurrency in the world. The above chart shows that BAT is currently traded at 0.292954 USD or 0.00005791 BTC (UTC 05:20). Its current market cap is worth of 366,021,585 USD with a 24h volume of 37,967,711 USD. The same chart shows that approx. One month earlier, BAT had a trading value of 0.201850 USD. So, within this period, the value of BAT has been increased by 45.13% with 0.279538 USD as a good support resistance level. 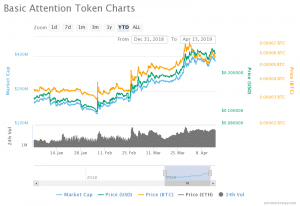 According to Coinmarketcap, the return on investment from BAT is approx. 78%. Within 15 days, the price of BAT surged up by 50%. The general positive sentiment of the crypto market contributed to this hike. BAT is aimed to revolutionize the way customers interact with their companies. The brave browser in partnership with Cheddar, the leading entertainment and media company is set to provide free subscriptions to premium Cheddar content from Brave Browser users. As Bat got listed on Coinbase and Goldman Sach’s circle platform, we think that it can trade around $0.348 by 2019 end. BAT is a potential cryptocurrency, and it is worth investing for long term investment. In the upcoming days, BAT will be upcoming updates, and it is also expected that it will also reach to more number of people which can raise its value to a much higher level.